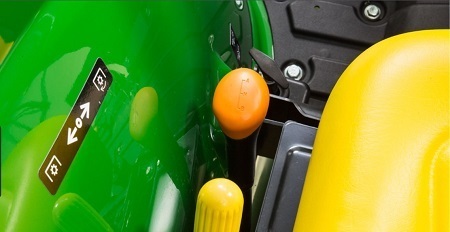 The 3D Tractors are available with a gear drive transmission with eight speeds in both forward and reverse directions . 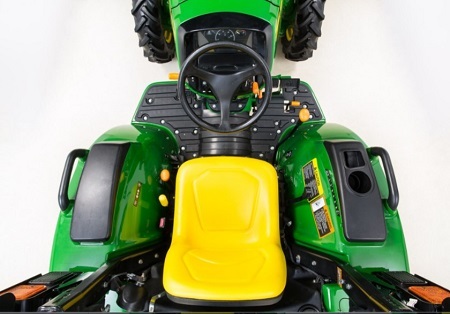 It includes a drivetrain built with heavy-duty components, similar to those used in some John Deere utility tractors. 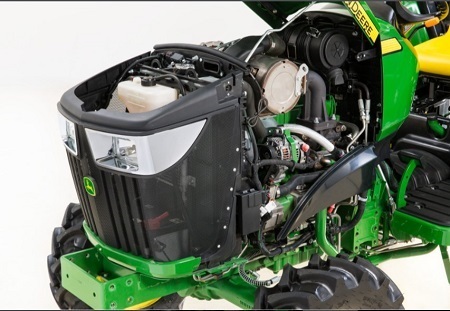 These components ensure a rugged and durable machine. 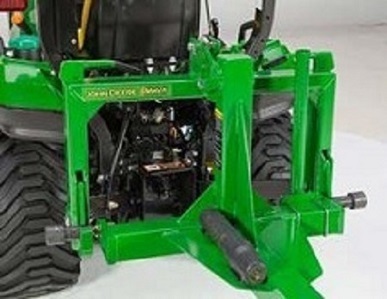 The spiral bevel gear of the 3D machine is larger in diameter than comparable tractors. 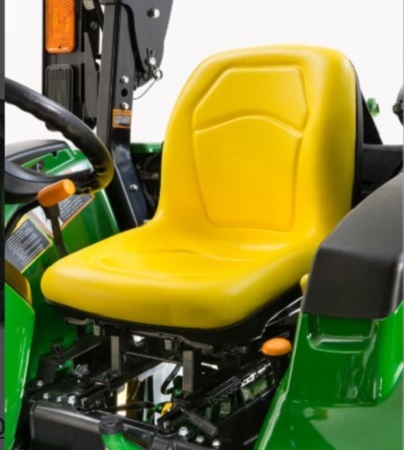 Column-mounted forward and reverse lever for increased efficiency and comfort when changing directions. 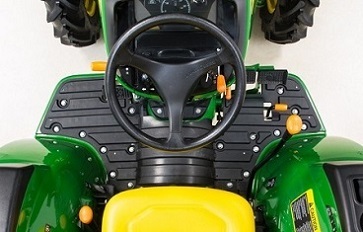 The tractor will only start with the forward/reverse and range levers in neutral. 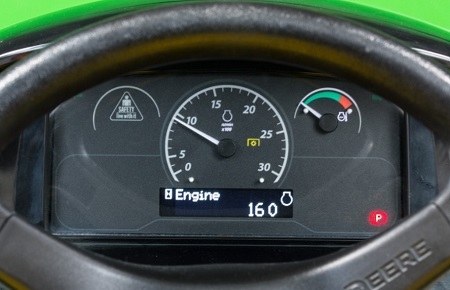 The engine will shut off if the operator leaves the seat unless the forward/reverse and range levers are in neutral. 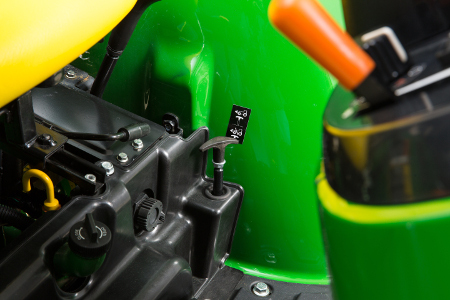 The engine will shut off if the operator leaves the seat and the power take-off (PTO) is engaged. 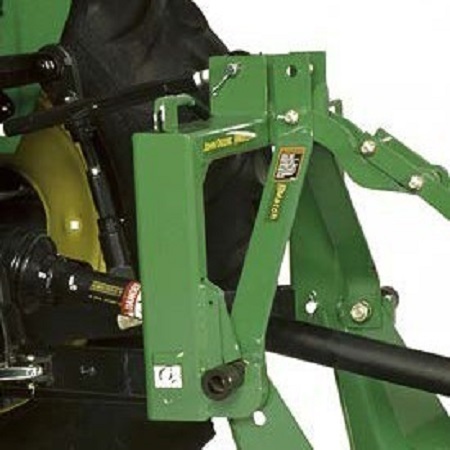 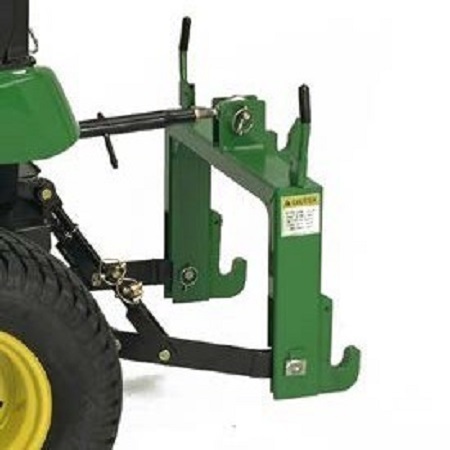 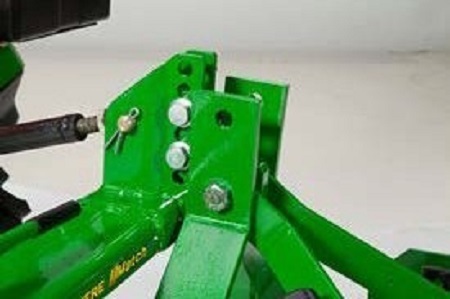 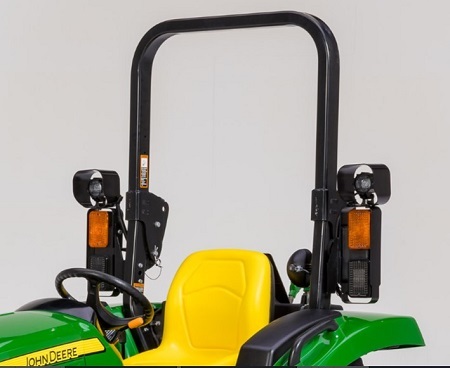 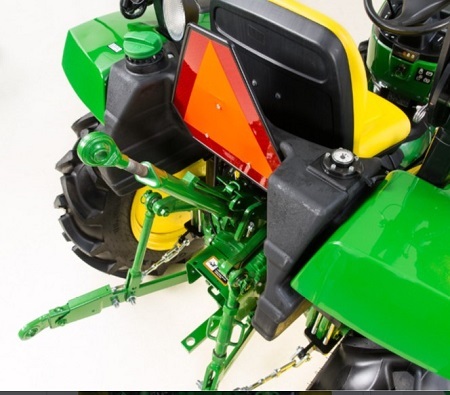 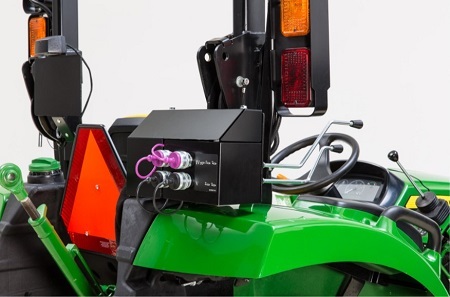 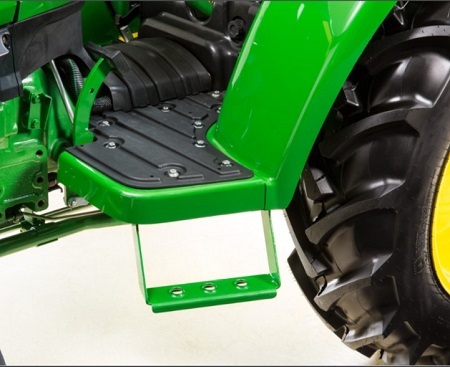 Key John Deere advantage - A column-mounted forward/reverse lever is a more ergonomic alternative to the floor-mounted design of the competition. 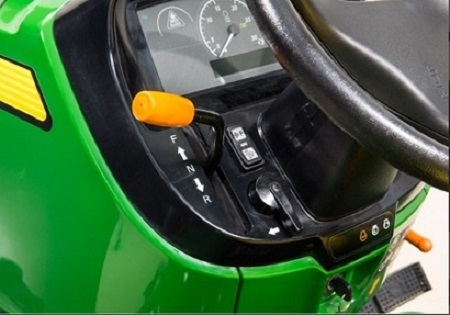 Having controls at the operator’s fingertips allows for an effortless change in directions at any time. 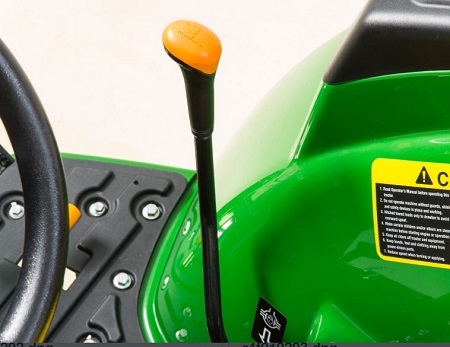 The 3D is much easier and more comfortable to operate when shifting between gears. 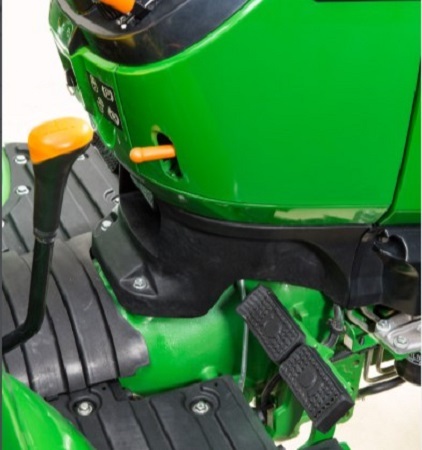 The fender-mounted gear shift lever provides the ideal location and placement for the operator’s arm.